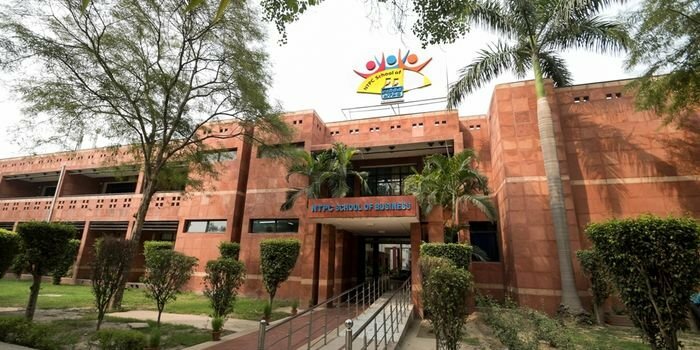 NTPC School of Business has announced admission for the first batch of its flagship programme, Post Graduate Diploma in Management (PGDM) Energy Management in collaboration with Indian Institute of Management Ahmedabad. The AICTE approved two-year full-time residential programme is offered in assistance of IIM Ahmedabad, as faculty members of the institute would deliver classes for a particular part of the curriculum. According to NSB, IIM Ahmedabad would also mentor the institute in terms of developing the pedagogy. The application process has commenced and the last date of application is July 31, 2018. NSB is functioning under the aegis of NTPC Education and Research Society (NEARS). Let us take a detailed look at the NTPC Business School admission notification 2018. Eligibility Criteria: Candidates should be graduates in any discipline from a recognised institute or university with minimum 50 percent marks in aggregate for General category candidates and 45 percent for reserved category candidates. The duration of Bachelor’s degree should be at least three years. Candidates in their final year of graduation are also eligible provided they complete the degree by August 31, 2018. Application Procedure: The application process for NSB PGDM E is completely online. Candidates have to visit the official website and click on the online form tab. The fields have to be filled with the necessary details and the application fee of Rs. 500 can be paid by Credit/Debit Card, Netbanking etc. Admission Procedure: Candidates must have appeared in one of the national level MBA entrance exam such as CAT, XAT or GMAT undertaken in last three years. Shortlisted candidates will have to appear for Academic Writing Test (AWT) and Personal Interview (PI) rounds. Final selection will be made on the basis of performance in entrance test and AWT and PI. Important Dates: The following table brings the important dates of NSB PGDM E 2018 admission. Your NTPC School of Business, Noida brochure has been successfully mailed to your registered email id .